Steve Smith, Clive Langley and Karl Wilson competed in Ironman 70.3 Maine. Smith was the first of the trio to cross the line clocking an impressive time of 4:59:54, which saw him finish 48th in the Men’s 45 – 49 Age Group Division. 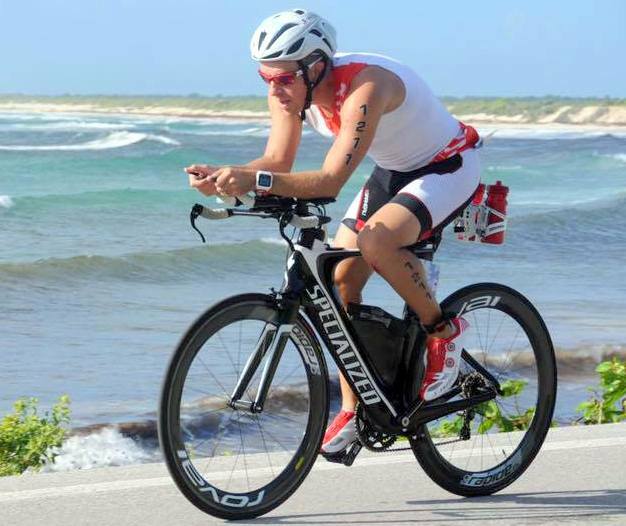 Smith finished 230th overall and the 213th male to cross the line, he completed the swim in 32:08, which was followed by a time of 2:29:29 on the Bike course before closing out with a Run time of 1:49:27. Langley finished in 39th place in the Men’s 40-44 Age Group in a time of 5:01:36. Langley was 253rd overall, he was the 229th male to cross the line, Langley was clocked at 28:09 during the Swim, he then clocked 2:31:41 on the Bike Course before closing out with a time of 1:55:23 on the Run course. Wilson was forced to pull out of the race after just 1k of the run as he entered the race with an injury knowing that he would struggle on that part of the course. Wilson competing in the Men’s 40-44 Age Group clocked a time of 25:00 on the Swim, he would then clock 2:27:48 on the Bike course, before pulling out.